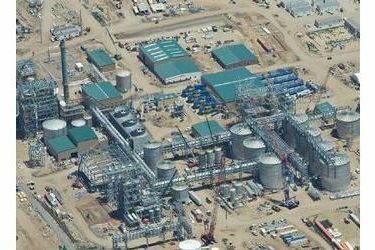 A Kansas energy company has sold its Hugoton cellulosic ethanol plant for $48.5 million as it deals with bankruptcy. Abengoa Bioenergy Biomass of Kansas is a unit of the Spanish alternative energy company Abengoa. It sold the plant, which produces ethanol from cellulose, to Synata Bio. The Kansas unit is selling off several assets through bankruptcy court, including a traditional grain ethanol plant in Colwich. The U.S. Energy Department gave the Kansas company a more than $130 million loan guarantee in 2011 to help with the constriction of the plant.